McGill University in Montreal and the University of Toronto were both hailed with top 20 rankings worldwide for employability of their graduates, per the latest Times Higher Education evaluations published in November 2016. This is among many reasons for American and other international students to consider Canada for university. 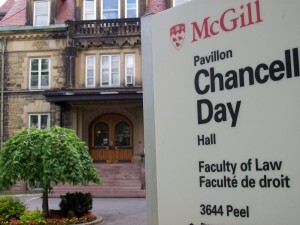 For example, Canadian universities offer much less expensive tuition than do American ones, even for Ivy-league equivalent institutions such as McGill and U of T.
As well, attending university in Canada opens opportunities for working in Canada legally, eventually leading to obtaining permanent residency. International students normally require a study permit to pursue education in Canada. Applying for a study permit is an important procedure that should be prepared carefully in full detail. Fogarty Law Firm can help you look at your options, apply for your selected program, and obtain the required study permit for Canada. Contact us now to get started here!